In Fall 2010, Access to Nature received a prestigious Research Honor Award from ASLA – American Society of Landscape Architects. The program had previously received the 2009 Environment + Design Award from CEAL - Center for Excellence in Assisted Living. 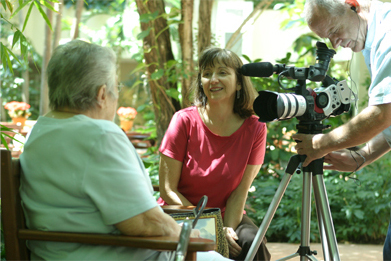 CEAL is a coalition of 11 national organizations focused on quality of care for older people. In 2005, an earlier prototype of the Access to Nature program also won the Active Place Design Competition award in product design from EDRA - Environmental Design Research Association, and a Viewer's Choice award from the Harvard School of Public Health. Backed by current research, Access to Nature is a multimedia educational program on improving outdoor access for older adults. This set of three videos, interactive exercises, and a continuing education course form a powerful learning tool in a format that can easily be applied by designers, administrators, activity directors, gerontologists, and others involved with senior housing. These guidelines show how to plan outdoor space to benefit health, increase physical activity, and improve quality of life in residential settings at all levels of care. Research shows that spending even brief periods of time outside can improve health and well-being. 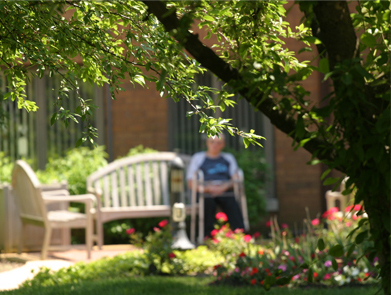 Why is it, then, that so many outdoor areas are seldom used by elderly residents? Poor design may play a large part in this problem. This program shows that it is possible, with little increase in cost, to develop outdoor space that is inviting and usable, leading to benefits such as higher levels of physical activity, improved mood, better hormone balance, and better sleeping patterns. A large number of people in several different disciplines have participated in this project at various stages -- from the research and analysis phase, to the design and development of the educational program. We greatly appreciate everyone who contributed to making this a useful and important tool to improve quality of life for older adults. Barbara Budzinski Paul Klaassen David S. Schless James Varni, M.D. Gordon M. Gibson, “Solitudes” label, Somerset Entertainment Ltd.